The post Can Dogs Eat Avocado? What to Know About Avocados and Dogs by Stephanie Osmanski appeared first on Dogster. Copying over entire articles infringes on copyright laws. You may not be aware of it, but all of these articles were assigned, contracted and paid for, so they aren’t considered public domain. However, we appreciate that you like the article and would love it if you continued sharing just the first paragraph of an article, then linking out to the rest of the piece on Dogster.com. Why is avocado controversial when it comes to dogs? It’s been long and often reported that avocados — despite being a scrumptious treat full of the healthy fatty acids, fiber and loads of potassium — are detrimental (and even poisonous!) to dogs. But is that really the case? Can dogs eat avocado? Can dogs eat avocado? 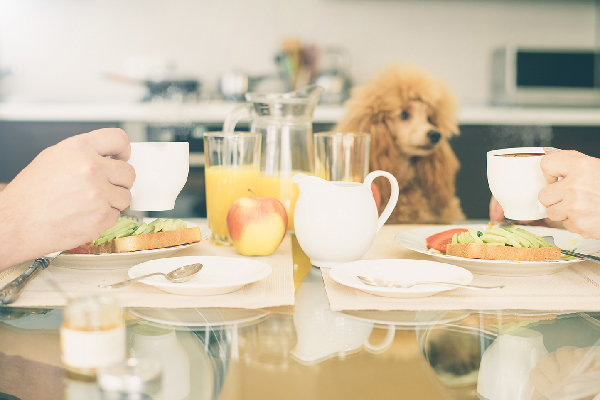 Read this before sharing your avocado toast with your dog. Photography © Rasulovs | iStock / Getty Images Plus. When it comes to the question, “Can dogs eat avocado?” one of the main points of confusion stems from the oil-soluble toxin persin. Persin exists in the avocado fruit’s seed, leaves, and even “bark” or skin. It’s a toxic, fatty acid derivative that in large quantities, has been found to be poisonous to some animals like horses and cattle. But dogs (and even cats) are seemingly unaffected by persin. While persin hasn’t been proven to actually be toxic to dogs, there are some risks in feeding your pup an avocado. Can dogs eat avocado if it’s fresh? It’s true. Vets even sometimes recommend avocado-based foods for doggos with skin and/or hair issues. Symptoms of hair loss, hair thinning, dry skin, skin infections, or a hair- or skin-based odor often indicate a deficiency of fats and antioxidants. Low levels of fat can pave the way to dry, itchy skin and vitamin A and E deficiency often lead to skin infections, flaky, itchy skin and dandruff. Because avocados are rich in vitamin E, vitamin A and healthy fats, these power fruits are a great feeding option for dogs with skin and hair problems. Can dogs eat avocado pits or seeds? As mentioned previously, here’s the most important thing to remember when thinking, “Can dogs eat avocado?” Dogs cannot eat an avocado’s pits or seeds. While the avocado itself doesn’t pose a poisonous threat to your dog’s well-being, the pit or seed can cause an obstruction in a pup’s throat, stomach or intestines. Obstructions are serious and can often lead to fatal medical issues, surgery and — in the worst-case scenarios — the need to put a dog down. “In general, dogs (and cats) should not eat any type of fruit seed or pit. Many of them (such as apples and apricots) contain cyanide,” explains Dr. Hofve. Cyanide is detrimental and potentially fatal to all animals (and humans). This is because a component of cyanide limits the body’s ability to allow blood to carry oxygen throughout the body. While avocado seeds do technically contain cyanide, it is a very miniscule amount and not considered enough to actually do damage. However, owners should still be wary of feeding dogs the avocado pit. Can dogs eat avocado in anything, like guacamole? So, what about foods that contain avocado — can dogs eat avocado in anything, like guacamole? The avocado isn’t the part of guacamole you have to worry about. It’s often the other ingredients in guacamole that can be harmful. “[Dogs can eat guac], if it does not have onions,” explains Dr. Hofve. It’s the same rule as with feeding your dog tomato sauce: dogs should avoid anything with onions and garlic. While some veterinarians will clear dogs for a bit of garlic, other specialists in the field maintain it should stay off limits. Use your pet-parent discretion to make the best choice for your pup and always consult your dog’s vet first. “Watch him lick his chops and thank you for a nice treat,” Dr. Hofve says, jokingly. But seriously, it’s okay if your dog enjoys an avocado from time to time. Be sure that your dog doesn’t ingest the skin or the seed or the leaves of the avocado tree and don’t mix the avocado with any garlic or onions. Salt and pepper — in small, appropriate doses — are fine. In conclusion, the answer to the question, “Can dogs eat avocado?” is that avocados are perfectly safe to feed your dog in small doses. Limit the amount of seasoning you mix with the avocado and make sure to never feed your dog the pit, seeds, skin or leaves of an avocado. In the event that your dog ingests any one of the dangerous parts of an avocado or is exhibiting signs of ingesting the toxic parts of an avocado (vomiting and diarrhea), consult your emergency veterinarian immediately. Thumbnail: Photography © tkatsai | iStock / Getty Images Plus.